Mike was brought up going to church and accepted Christ at 9 years old. He struggled as a teenager trying to live his life the way his parents wanted him to live. He began to hang out with people who he thought he could trust, but ended up doing drugs and alcohol. Once you start it’s never easy to quit, especially when you have a void in your heart like Mike did. When Mike arrived that evening, he walked up to the table where the food was served with his head down. 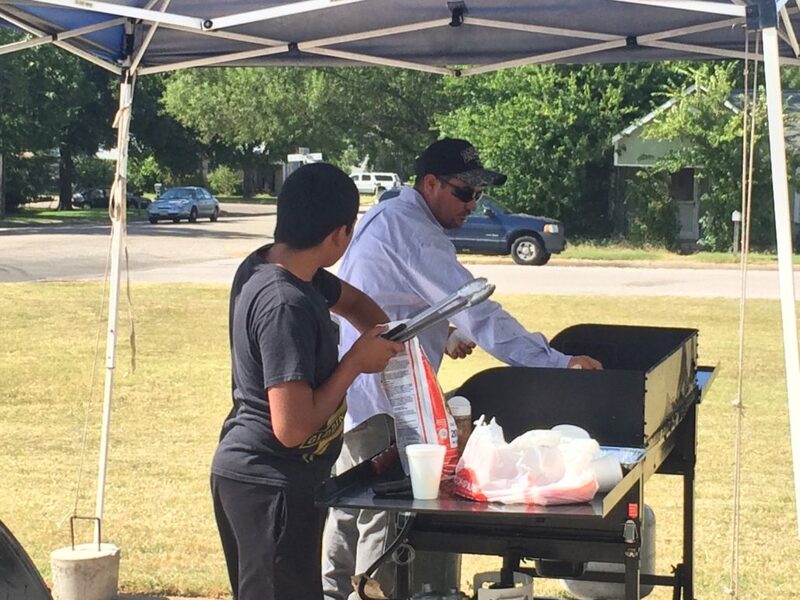 A volunteer asked him if he was there for a burger, and while he was, he also explained that he would like to serve. Without hesitation the volunteer accepted him with open arms and showed him the ropes on where he could jump in. Mike kept coming back every week. He would eat a meal and serve anywhere he could. Slowly his confidence started building, he was beginning to find his self-worth again. After a few months, Mike went out of town for a couple of weeks. The second week of not being at our weekly community he received a phone call from a volunteer checking in to make sure he was okay. For Mike, Feed the Need Missions is much more than a burger, it’s about being part of Christ’s family and seeing it’s life-changing transformation. This is the kind of difference you are making when you give to support our communities. With your help, Feed the Need Missions will continue to provide a safe place people like Mike can gather for a hot meal each week, a place where you see the love of Christ in action. As some of you may already know this familiar face and some may not, this is Cyndi. 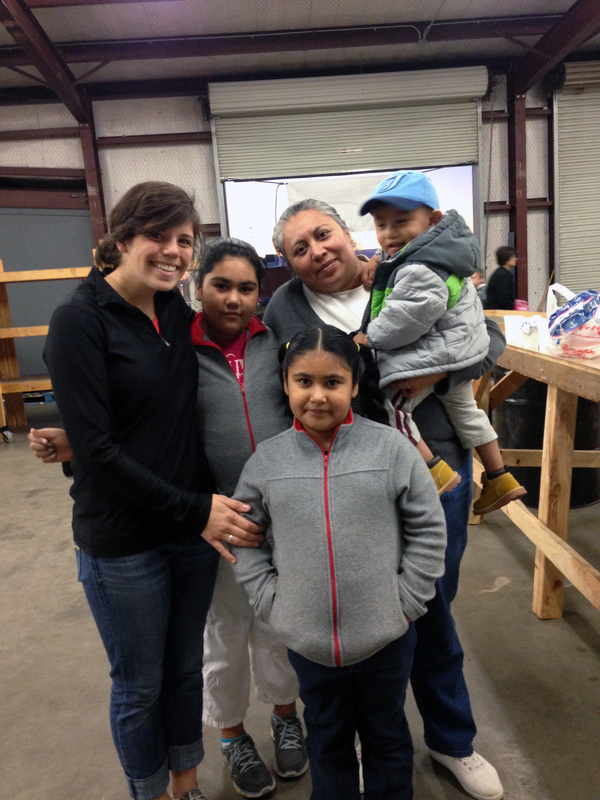 She lives in Bastrop, Texas and sometimes serves with us at two of our sites. During the summer the need of food is much greater for this single mom of 3 girls living at home. Cyndi’s girls get fed lunches at school and sometimes breakfast. Now that school is almost out and funds are limited, it gets harder to feed a full meal. Cyndi is one of many families that looks forward to a hot meal. With the summer months approaching and school coming to an end, Mission U-Too increases the amount of meals that are being served, while, many times, giving goes down during the summer months. We are in need of more funds to be able to support more families, especially on a monthly basis. Can you help and commit to giving monthly and help us be sure to continue serving families like Cyndi’s? And could you also be in prayer for Cyndi’s family? Cyndi just had her third brain surgery to relieve pressure build up in her spine and brain. She had complications with the surgery and is still on bed rest so she can fully heal. Mission U-Too volunteers have been taking hamburgers to her every Monday to help feed her and her family. A mentor of mine once told me that it is important to document what you are feeling and to take a journal and write down what God is doing in your heart. And then saturate the experience in prayer as you walk alongside God and those with whom you are serving. Then share it. So I am going to share with you a story that has been penetrating in my heart for exactly one year..
A married couple with 4 children needed help. They searched for help in the community and they received some assistance, but was needing more. They heard about Mission U-Too through friends and my boss, at the time, came to me about their needs. They had lost their house in a fire because of an electrical issue with their dryer, right before Christmas in 2015. My heart was broken as how to help. After help was given I felt my purpose and motive was not pleasing to God. I had the opportunity to pray! I had the opportunity to share the gospel with 6 people. I had the opportunity to be a light in the darkness, and I failed. 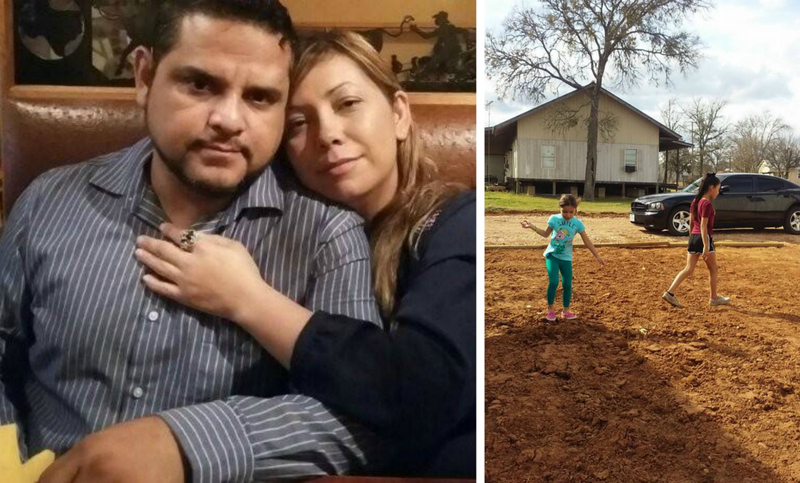 The Rodriquez family moved in with family after their hotel voucher was over, and started building their house with their own hands. I kept in contact with the family through Facebook and would reach out to them every few months. Just a few days before Christmas in 2016 I was told by a local Pastor that the Rodriquez’s home was almost finished. I know some of you can relate to losing your home in a fire and the devastation of losing everything and having to rebuild your life again. I then reached out again and asked what I could do to help. Diana, the mother, sent me a list of items that they needed and I started praying through the list. Within a few days God sent His deliverer. 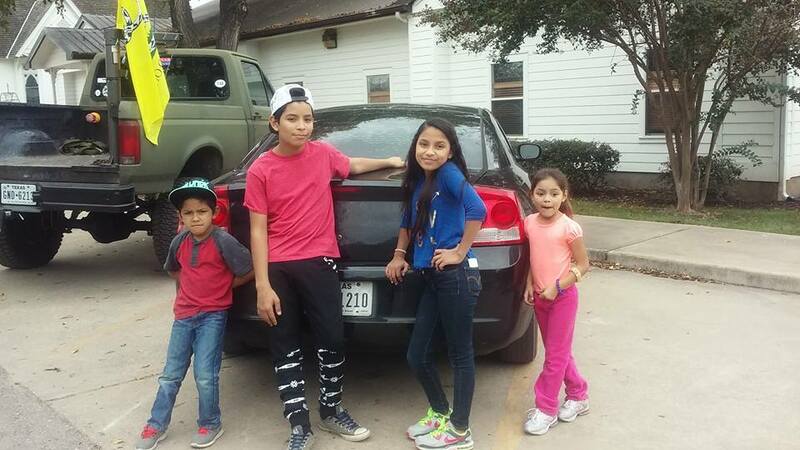 A Bastrop family wanted to bless a family during Christmas, so I mentioned the Rodriquez family and their needs. It was a MATCH! Gifts were given from a local Pastor…pillows, towels and a microwave. Plus money for a washer and dryer, curtains and other household items were given. I gathered all the things and went to visit the family. I pulled up to their little trailer size home with 3 bedrooms, 1 bath and a kitchen. No living space and they were content, blessed and satisfied with the work that was put into their tiny home. Emotions were expressed by her and I. We cried together, laughed together, and we PRAYED together. I knew just enough Spanglish for her to understand. That was my opportunity friends! I shared the gospel with her and the heart behind Mission U-Too. I spent 3 hours with her unpacking her new gifts and talking, while Jordan, my son, played outside with the children. God presents opportunities. Sometimes we miss the opportunity and sometimes we don’t. Don’t miss the opportunity that Christ has for you. I almost did, but with His great planning, my journaling, and pursuing the Great Commission, I had another opportunity that God trusted me with. Diana is a believer. Her husband is also a believer, and a few of her children are as well. 2 Corinthians 9:8 “And God is able to bless you abundantly, so that in all things at all times, having all that you need, you will abound in every good work.” I was blessed abundantly and the Rodriquez family, because of OUR commitment to Christ. You can do the same. Choosing a service opportunity can be daunting, but if you think about it, you have passions that will help drive this decision. God has blessed you with gifts that will lead your decision and will encourage you along the way. Trust in your passions, gifts and, most of all, God. And He will lead you to an experience that will change your life. Marilyn is a single grandmother raising her four grandchildren: Alex, Brett, Amari and Kaylee. 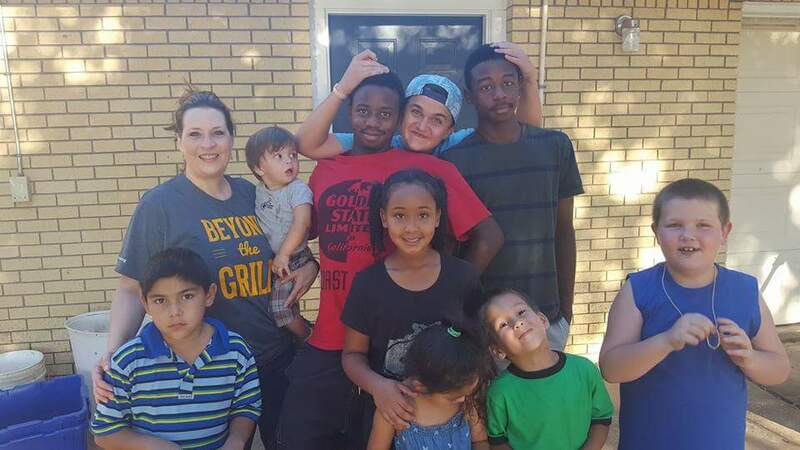 Struggling to make ends meet, her grandchildren started coming to Mission U-Too for a burger. Quiet and meek they would sneak in the line and wait patiently for their time to be served. Not knowing a soul around them other than others in the community they would walk back home with their food in hand and eat with their grandmother. Alex, the oldest of the four grandkids attends Bastrop High School and is on the track team. Breaking out of his shell he started finding HOPE and community at Mission U-Too. He began to serve and started building trust with those he was finding peace. “It’s just different,” Alex said in an interview. The ‘different’ Alex was feeling was the love he was experiencing from those who were pouring into him, Christ’s love. Alex’s siblings later followed behind to serve. Marilyn was seeing positive change in the children. Once her grandchildren were able to find peace and comfort she started coming to be served as well. They even decided to dedicate their lives to Christ in their church and were baptized. Carol, a Mission U-Too volunteer, was invited to join the baptism. And then on a summer afternoon Marilyn and her grandchildren were in Houston trying to head back to Bastrop and their car broke down. She was able to get help and a ride back to Bastrop from family, but her car was not repairable. Left alone at home without a vehicle they all began to pray. Little did she know, a family who had just started serving with Mission U-Too had a car that they had been praying about for several months to be able to donate to someone in need. Carol introduced Marilyn to the family and they found a perfect match. Marilyn was blessed with a car. Marilyn said in an interview, “I have never met people who cared as much as your volunteers do. My family has been blessed abundantly and my faith is stronger.” And Alex followed with, “I am loved and I have a purpose in life that I never knew I had.” They ended with that Mission U-Too’s impact in the community has made it a better and safer place to live. God is on the move within Mission U-Too. Actually, it’s not about the name or who we are, it’s about Jesus Christ and making disciples. He uses people within Mission U-Too to reach out with His love. Paula’s life has not been easy. She’s struggled with alcoholism, spending time in prison, serious health issues, abusive relationships, and being estranged from many people in her family. All of these challenges made her feel isolated and depressed, and she truly believed the lie that she was not worth anything. After her first meal at one of our Mission U-Too sites that all changed. Check out the video above to hear Paula tell her story. Because of the help from friends like you, this past year Mission U-Too was able to serve thousands of people like Paula a hot meal and share the love of Christ across Central Texas. And we hope to reach even more next year. Will you consider helping to feed the need by giving generously to Mission U-Too today? For Paula, Mission U-Too is much more than a burger, it’s about seeing the life-changing transformation because of the love of Christ. Nancy is a 55 year-old single woman who resides in Smithville, TX. She lives in an efficiency apartment and is on housing assistance. Nancy heard about Mission U-Too from her neighbors who attend regularly, but it took her 4 months to join us. She recently started coming because her grandson is staying with her for the summer, and they were both hungry. For physical food and spiritual food. “I have a fixed income and can barely feed myself. I now have my grandson with me who needs to eat more than I do.” Nancy and her grandson took home three burgers and three hotdogs each and some extra food for the week since she wasn’t sure when their next meal would be other than the free lunch for the children of the community. Now knowing that Mission U-Too is at the Smithville location every Thursday rain or shine, Nancy found a new place where she can come and be herself and feel loved and accepted just the way she is. Building relationships and tearing walls down one by one, we now have a new friendship. Confused, Nancy asked why we were doing this. “Because Jesus told us to. We’re to love you and care for you just like Jesus loves us and cares for us,” I said. She smiled. Nancy’s story through Mission U-Too is not finished yet! https://feedtheneed.org/wp-content/uploads/2016/07/nancy.jpg 1365 2048 Feed the Need Missions https://feedtheneed.org/wp-content/uploads/2017/09/Feed-the-Need-logo-MAIN.png Feed the Need Missions2016-10-25 08:41:132016-10-24 16:17:52“Now I know why I came"
Molly serves every week at our Giddings location. Here is her story about the impact her life has had from building relationships through Mission U-Too. Serving at Mission U-Too has been one of the best things to happen to me since moving to Texas almost 2 years ago. I remember so clearly the first night I was able to go, I ended up playing with all the kids that were there, chasing them around and laughing with them, giving them hugs and loving them. My heart had been aching for “little people” time and interaction, and God was so faithful to bring it at just the right time. As I continued serving the people of Giddings, God began to stir my heart for them in a way I didn’t expect. So many of them were searching, I could see it in their eyes and the conversations I would have. Most of our prayer times at the end would leave me in tears because of stories I heard or just a desire for the people of my city to know the love of God through Jesus. This past year I started going to Mission U-Too more frequently, being able to build relationships with the people there. God gave me opportunities to pray for people, love on the kids and even bring my guitar and play and sing while our guests came through the line. In October of 2015, I met the Garcia family, a mom with four kids. They would come and get food and then go home, but eventually the three oldest kids would come and jump on the line to help serve while the mom would sit on the side with her 1 year-old son and just watch. She was beautiful and her little boy was so precious. I felt an instant love for all of them and as I began talking with the mother, my heart swelled even more. She only spoke Spanish, but by the grace of God, I was able to hold conversations with her and sometimes her kids jumped in to help translate. Meeting the Garcia family was a divine appointment. She immediately invited me to her home and I was able to go and visit and spend an afternoon with them, and have some of the most delicious food! Their life is not easy, but the strength God has given to them is astounding. They are so faithful to come and serve every Sunday, and now even the mother serves on the line! It’s so beautiful to see how God has put us together. He has loved me through them and I am so grateful for their friendship. 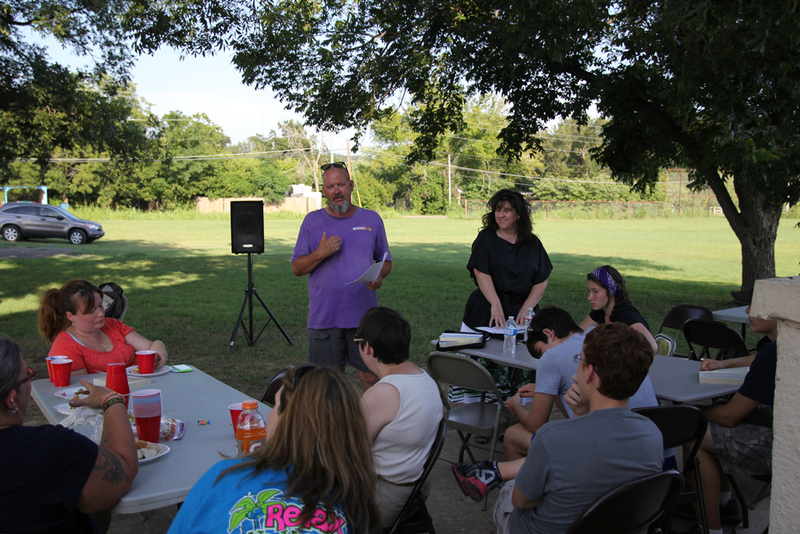 Serving at Mission U-Too Giddings has given me new eyes and perspective to see people through the lens of Jesus. God has broken my heart for the people of my community and has provided an avenue for me to take action and love them. I am forever grateful to be a part of this ministry. To God be the glory.